The Maya, Inca, and Aztec cultures all excelled in stone masonry techniques. Historians tell us that a tremendous amount of planning went into the construction of ceremonial centers, pyramids, ball courts, housing and apartment construction, and agricultural terraces. None of the cities were laid out according to formalized plans. Historians also tell us that construction projects required an enormous amount of labor. For example, construction on the Inca fortress of Sacsahuaman was started in 1438 A.D., and it took 30,000 people over seventy years to complete. In addition, both the Maya and Aztecs used incredible amounts of manpower to complete projects. Aztec Emperor Axayactl used 50,000 men equipped with ropes and rollers to move just one enormous sacrificial stone. Each construction zone was first cleared of brush and trees. Then, the site was leveled and a foundation was constructed. At this time, the quarrying of tons of stone would begin. Usually, the quarry site closest to the construction was chosen. After the rocks were quarried, the stones, some weighing as much as 20 tons, were hauled to the construction site by hand or transported by log rollers. Primarily, the Aztecs and the Maya used limestone. However, a wide assortment of materials were used. 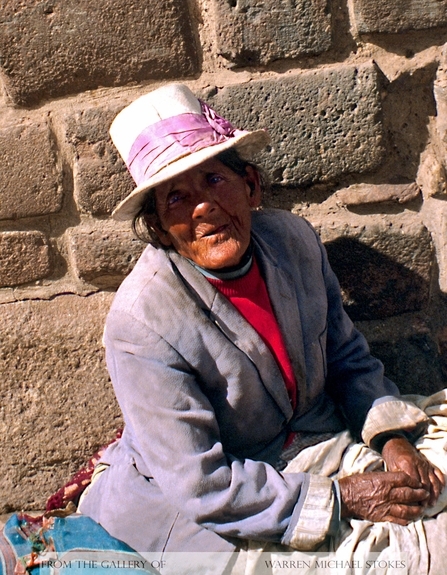 Most historians believe that the Inca were the best of the stone masons. Their carved stones were placed together so tightly that it was impossible to put a razor blade between them. The Inca had three basic levels of stone masonry. The first was called “Pirka,” this was a rustic form of masonry largely used in the construction of terraces, store houses, and the homes of commoners. Empty spaces between the stone blocks were filled with adobe mortar, and small stones. The second level was the Cellular style, and it was much more refined. The Cellular style used medium sized stones that were made into polygons that interlocked. The top level of masonry was called Imperial Inca, and it involved horizontal rows or rectangular stones that perfectly fit together. Primarily, the Inca masons used limestone, quartzite, granite, and basalt. These highly skilled craftsmen utilized a system of chisels and metal wedges. Inca stone cutters used both stone and metal tools. They used bronze chisels, and hammers that weighed as much as 22 pounds. The hammers were usually made of rock and they were called, “jiwaya,” in the language of the Inca. The Inca also used a tool called the “wipayci” to make sure that once the stones were aligned perfectly once they were set. Maya and Aztec stone masons used similar techniques. They both covered buildings with a limestone plaster in order to give it a whitewash appearance. Maya stone masons invented the stone corbelled arch, vaulted ceilings, and stone roofs. All of these techniques were used extensively in their construction. Both the Maya and the Aztec stoneworkers carved amazing facades on their temples, and public buildings. In addition, the Aztecs incorporated elaborate wooden facades to accompany their construction. Historians believe that the Aztec masons executed designs that were far more elaborate than the Mayans. However, little evidence of this exists today.